Perfected at the Goodyears Innovation Center in Luxembourg, Europe, the new DuraPlus passenger tyre offers incredible tread life with reliable performance. More than 100 engineers, physicists, chemical experts and tyre evaluation specialists have worked extensively to develop this innovative tyre which provides outstanding mileage at a reasonable cost without compromising tyre safety. Goodyear DuraPlus tyres with TredLife Technology can last up to 30% longer than other competitors, giving you more than 100,000km of service. New Generation Wide Face Cavity puts more wearable rubber in contact with the road for longer tread life. Maximised – Rubber Volume uses a larger road contact area and deeper treads to increase available wearable rubber volume, maximizing the usable life of the tyre. Advanced – Carbon-based Tread Compound provides a higher resistance to frictional wear. New Generation Wide Face Cavity Larger tread width puts more wearable rubber in contact with the road for longer tread life. 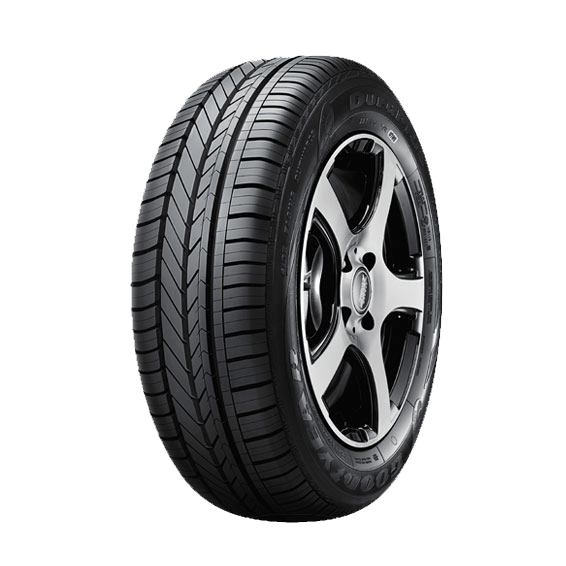 Maximised – Rubber Volume Large road contact area and deep tread depth increases available wearable rubber volume., maximizing the usable life of the tyre. Advanced – Carbon-based Tread Compound High carbon loading compound blend provides a higher resistance to frictional wear.